Don DeWitt was a significant person in my adolescence. He taught math at Austin E. Lathrop High School in Fairbanks, Alaska, where I attended from 1970 to 1974. In his classes, I began to understand and appreciate not merely the science but the art and culture of mathematics. He wrote his own obituary, but that lively essay is equally notable for what it doesn’t say. DeWitt’s life was tumultuous, to put it mildly. Despite his tornadic passions — education, math, theater, archaeology and paleontology, history, world travel — I think he remained unfulfilled in some deep sense. In 1973, I enrolled in his Lathrop High class called Advanced Geometry. 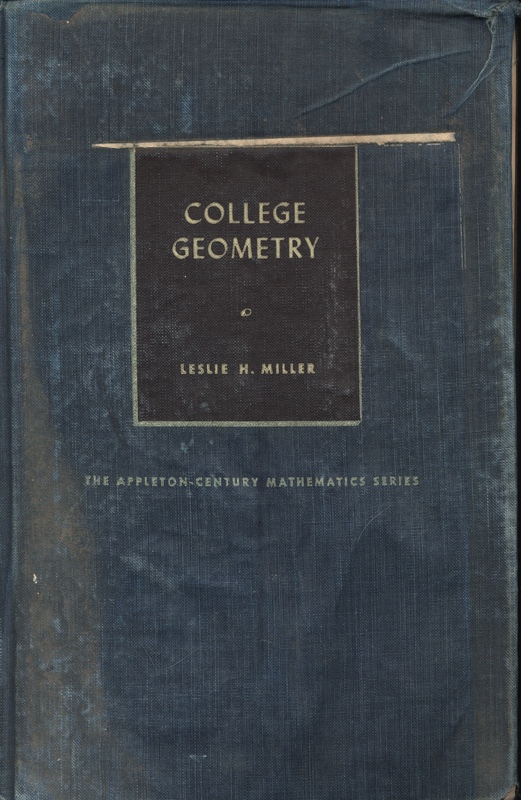 The textbook was College Geometry by Leslie H. Miller (Appleton-Century-Crofts, New York, 1957). DeWitt attended The Ohio State University and had taken Miller’s geometry courses there; Miller’s book must have been nearly brand-new when DeWitt was an undergraduate. Don told us, his geometry students, that Miller wanted to update his book, but the publishers wouldn’t let him — they apparently considered it perfect. Thanks to the thoughtfulness of Ann Ringstad at the Alaska Community Foundation, I acquired some of DeWitt’s math books and papers. Among them was a bedraggled copy of College Geometry, water-damaged, falling apart, the book detached from its unraveling covers. 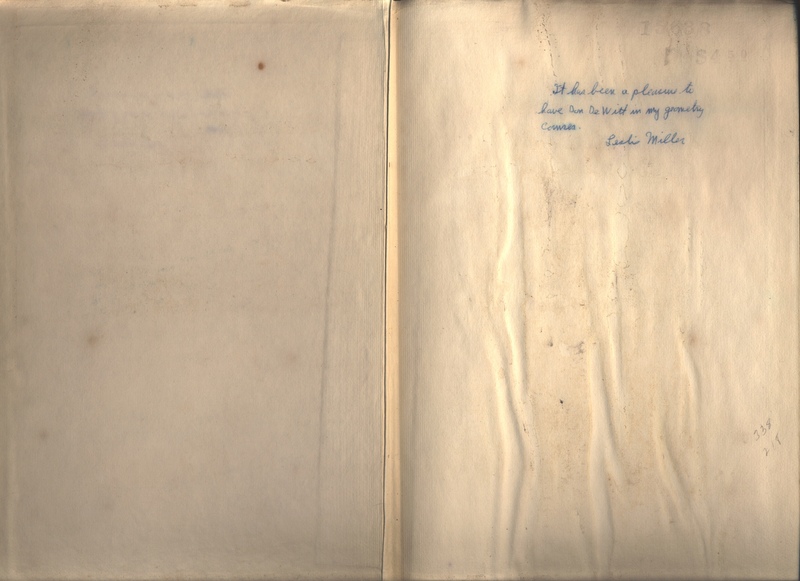 I can’t think of a better tribute to Don DeWitt than the inscription I found on the front endpaper of this clearly treasured volume. View the scan here. Updated 26 February 2018, 15 July 2018, and 4 September 2018. Don DeWitt left much of his estate to scholarship funds, some of which may be found at the Alaska Community Foundation and the Fairbanks Retired Teachers Association.